Home / DCC Members / NextPointe Inc. 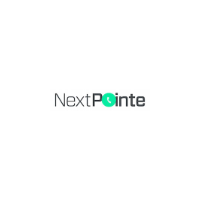 Comments Off on NextPointe Inc.
Next-generation Cisco phones and hardware ensure you’ll experience the best quality voice communications & collaboration. Your phones arrive as soon as next day and so does your ROI. And with plans starting at $29.99, what are you waiting for? Auto-attendant, call-transfer, music on hold, hunt groups, mobile connect and softphones are just a few of the features included. NextPointe provides the latest in videoconferencing, remote office, and collaboration solutions. Check your email, fax, and voicemails from one inbox, whether you’re on your desk or on the go, thanks to Cisco’s Unified Manager. Say good-bye to expensive PBX equipment and forget about maintenance issues. Just plug your phones to the wall and you’re in business!